This room concept is one I have come to associate with Mori girls; use of natural wood color, plants scattered here and there, white walls, white bed linens, and lace curtains. Although it's muted in color with only shades of brown, grays and peach. Still, it's very relaxing to look at. It's like you're living with nature. Real convenient too! 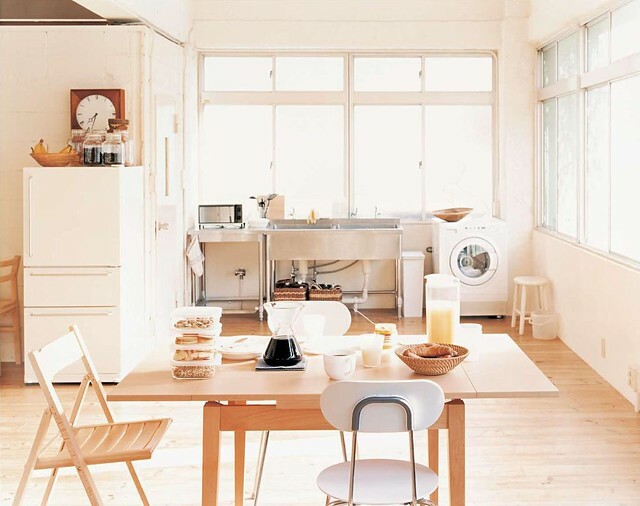 Most rental apartments and condo's already use the white wall - wooden floor combo. And wood furniture in natural finish are inexpensive. 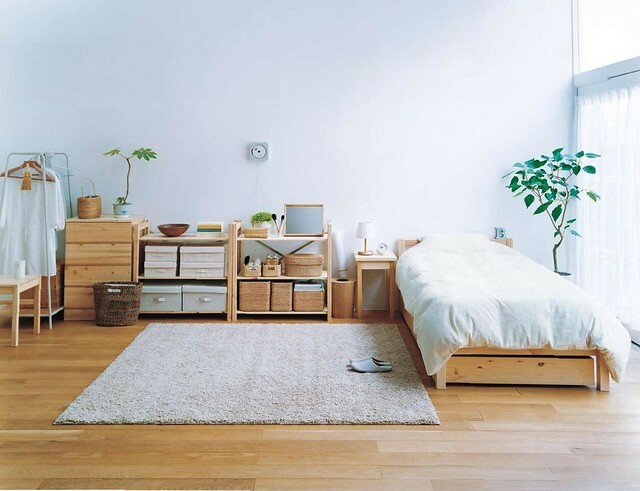 It's easy to design your room like this.